Verkhovnaya Rada Speaker Andrey Parubiy has invited Ecumenical Patriarch Bartholomew to Ukraine. “I invite the Ecumenical Patriarch to Ukraine,” Parubiy said in Kiev on Friday at a meeting with Archbishop Daniel of Pamphylia from the United States and Bishop Hilarion of Edmonton from Canada, the exarchs of the Ecumenical Patriarchate in Ukraine. He asked the exarchs to extend this invitation to the Ecumenical Patriarch. 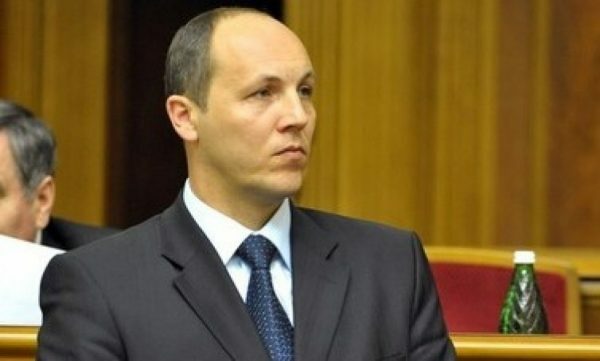 The visit of the Ecumenical Patriarch “would be a big sign, a big symbol for Ukraine and the Verkhovnaya Rada,” Parubiy said, adding that he hopes it is decided to grant the Ukrainian Orthodox Church autocephaly. The exarchs said the final steps remain to be made on the issue of granting a tomos and spoke in support of further cooperation with the Ukrainian parliament. “I think His Beatitude […] will visit Ukraine and will also be present in the Verkhovnaya Rada, which made this historical decision [the request to the Patriarch to grant the Ukrainian Orthodox Church autocephaly],” Bishop Hilarion of Edmonton said. In early September, the Ecumenical Patriarchate appointed two exarchs to Kiev to prepare for the granting of autocephaly to the Ukrainian Orthodox Church. They arrived soon after.